WHY: I'm not sure what happened, but Crocodiles has gone positively lovey dovey...well, at least, a little anyway. But I tell y'all what, those purveyors of beautiful noise still make a ferocious wall of fuzzy, scuzzy sound, the occasional burst of sunshine and hearts or no. 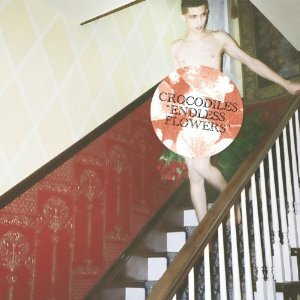 Endless Flowers doesn't quite have that edge that made me love predecessor Sleep Forever as much as I did, but turn that volume up and it's still a mighty fine little listen. MY JAMS: "Dark Alleys" "My Surfing Lucifer" "Welcome Trouble"